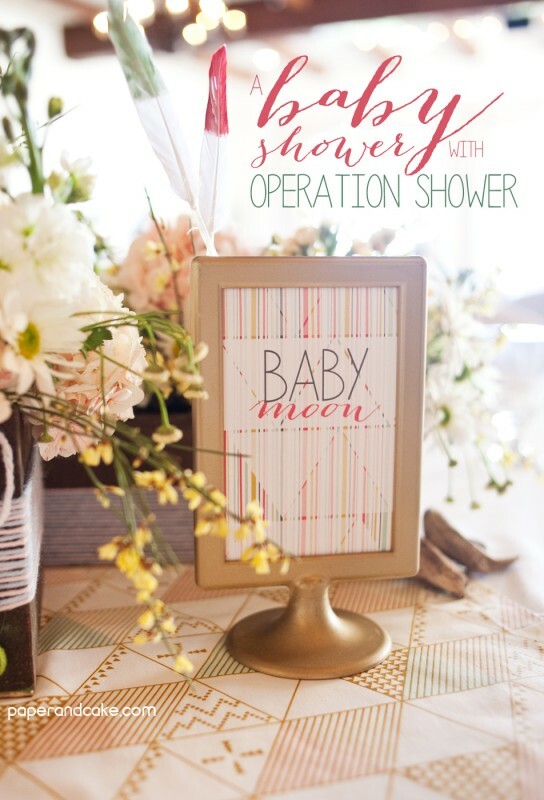 You have to know how much we here at Paper & Cake LOVE Operation Shower. 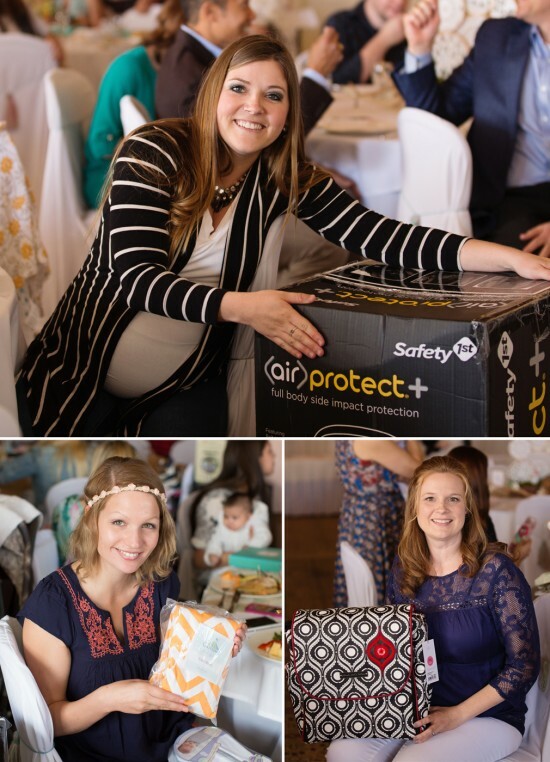 It just doesn’t matter how many of their group baby showers benefiting military families we are involved in – we. want. MORE. 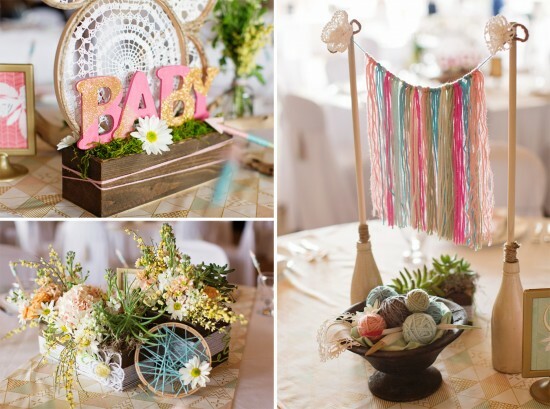 This time, we designed a bohemian style collection of paper decorations for their “Dream a Little Dream” event at the Riviera Country Club at the Northern Trust Open. Sponsored by Carousel Designs, and supported by Birdies for the Brave and 4Moms, it was emceed by none other than Molly Sims! It was SO gorgeous! 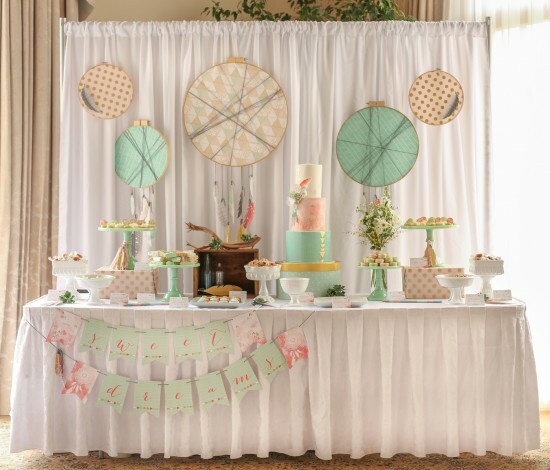 And I’m not just talking about all the hand crafted centerpieces, it was all of our mom-to-be (and a few brand new moms) guests of honor just glowing- see what I mean? 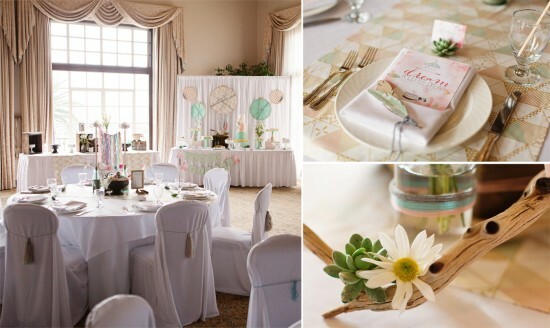 A group of volunteers worked together the day before the shower event to transform your run-of-the-mill ballroom. So many generous vendors donated items to add to our decor – vintage decorative items like bottles and crates came from Found Rentals, all the flowers were done by Josie’s Posey’s, table runners of fabric from Carousel Designs, laser cut wooden feathers made by Delovely Details and faux succulent place card holders from Kate Aspen. As our mom guests arrived, they were invited to decorate some baby t-shirts (thanks Gerber! ), and stop by the buffet table for a lite lunch (thanks Whole Foods!). It’s always the perfect opportunity to let the moms meet and greet and talk to each other, because even though they (or their spouse) may be stationed at the same base, they’ve never met. 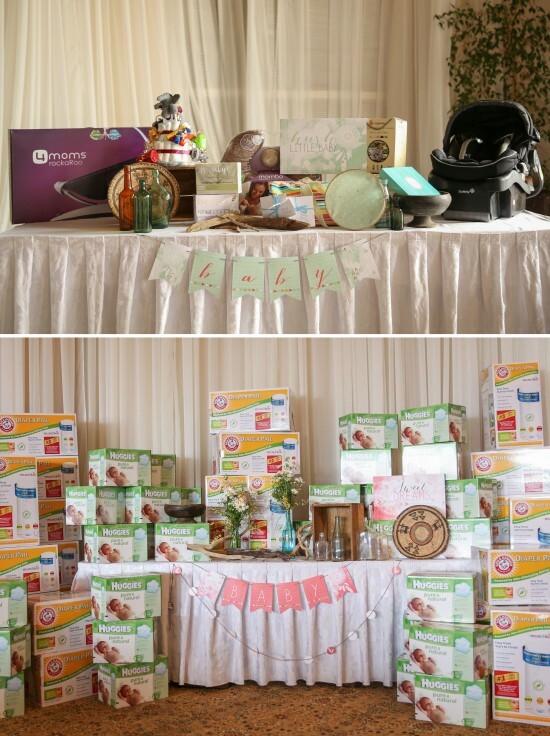 During lunch, the moms engaged in more traditional shower games, and lots and lots I’m talking LOTS of giveaways! 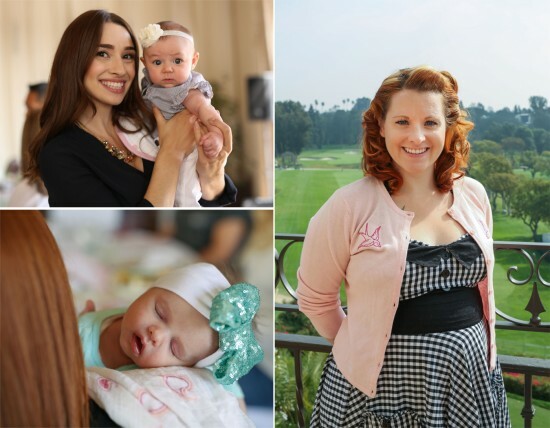 SO many gifts, but what tops the list is a carseat from Safety 1st, a gorgeous diaper bag from Petunia Picklebottom and a mamaRoo infant seat from 4moms! What could possibly follow all of the prizes and gifts? 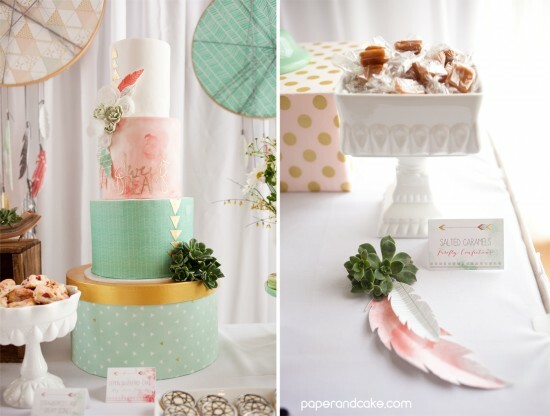 Well a SHOW STOPPING dessert table, that’s what. 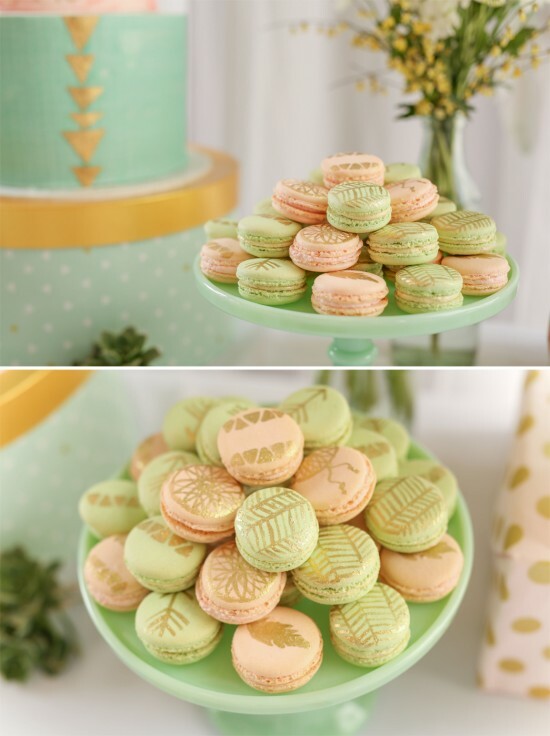 French Macarons – The French Confection Co.
What else could possibly happen at this shower? Well, how about a whole bunch of pics with the fabulous (and 9 months pregnant by the way) Molly Sims? 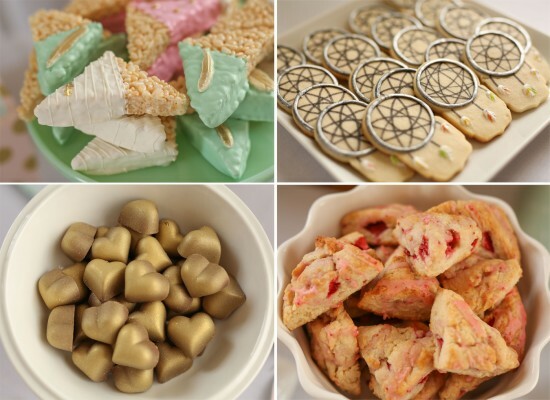 And maybe some MORE gifts as guests walk out the door? 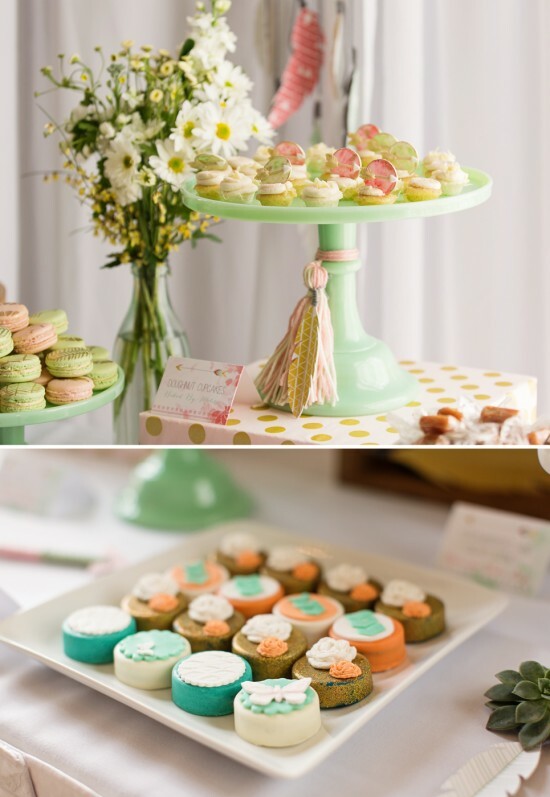 And of course, one final photo to remember one FABULOUS baby shower! If you are starting to feel as passionate as we do about Operation Shower, you can volunteer in so many different ways, go see how you can help today! And, just in case you missed it, we LOVED designing this set of paper decorations so very much – we have it all ready for you in the shop! Just head on over to check it out.